A unique aspect of the interviews that I am helping transcribe is that they devote a lot of time to discussing the pre-war and post-war experiences of Holocaust survivors. One of the most interesting parts of hearing this information is the pre-war details, particularly the diversity of these experiences. This makes the testimony a great resource for researchers studying everyday life. Some survivors recalled having a very Orthodox upbringing, and had very little interaction with non-Jews, whereas others remember attending public school, listening to other students learn the Catechism, and their parents having non-Jewish guests over for dinner. The level of anti-Semitism the survivors remember also varies. One survivor played on a soccer team that competed against non-Jewish schools, and he remembered that if they won, it usually meant a fight afterwards. Another said that when he played outside with other Jewish children, they had few options because the gentile children would chase them away if they saw them. A few others recall very little discrimination, particularly those whose families were not Orthodox. Many survivors remember anti-Semitism only becoming prevalent just before the war started. One survivor remembered that, when she was a child, a non-Jewish friend of hers became angry with her and told her, “Wait ’til Hitler comes! He’s going to send all the Jews to Palestine!” The survivor remembers that she had no idea what the girl was talking about. Some survivors stress that anti-Semitism in places like Poland did not end with the war. When one survivor went back to her hometown with her sister after being liberated, they were not welcomed. A non-Jewish woman she knew before the war saw her and remarked in surprise, “You’re still alive?” All of the survivors interviewed did not, of course, go back to their hometowns, moving instead to the United States. Most of them mentioned that they did not want to go back because, among other reasons, they felt that they were not wanted. I visited Krakow in 2010, and our guide took us on a tour of four historic synagogues in the city. 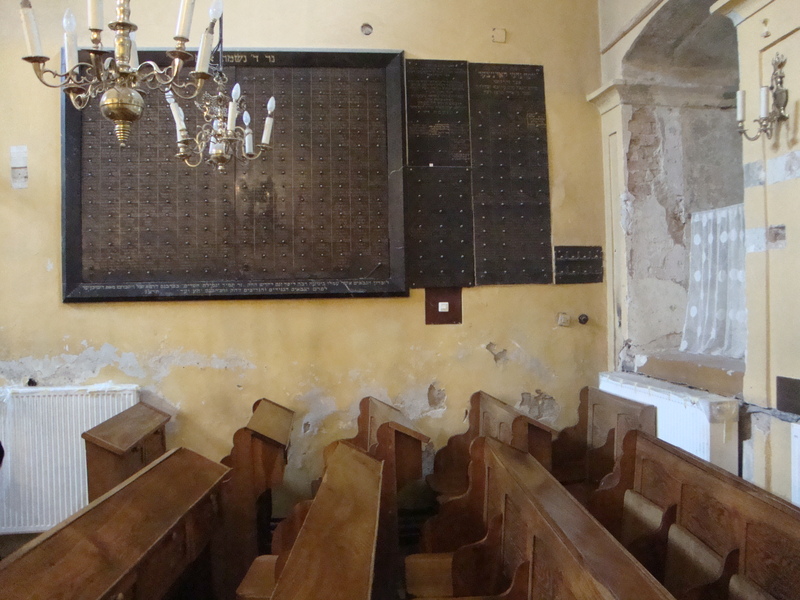 Only one of them was active, our guide told us, because Krakow simply did not have the Jewish population to support that many synagogues. This entry was posted in HistoryMaking and tagged Midwest Center for Holocaust Education, Oral History on March 3, 2014 by Elizabeth Perry.